The popular stage show at Disney’s Hollywood Studios will not be performing from October 10 until October 22, 2017. 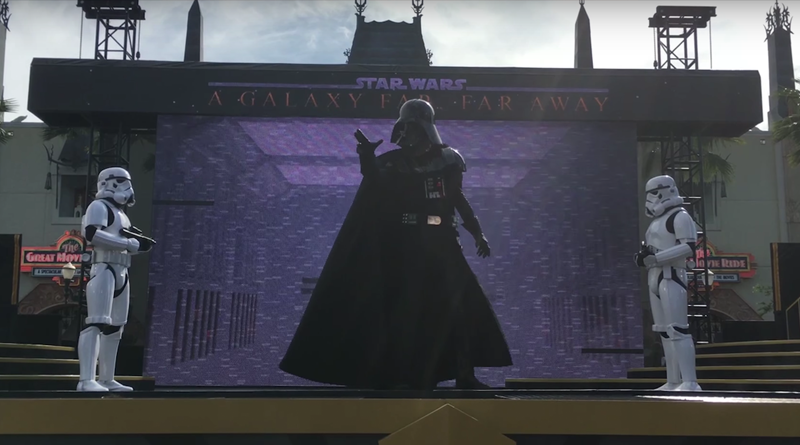 This is the second time in recent memory that the stage has caused Star Wars: A Galaxy Far, Far Away to be temporarily closed due to modifications. The previous closure was due to Disney wanting the stages to be mobile enough to easily roll away after the last performance in order for guests to more easily view the nighttime entertainment in the park. At this time, it is being presumed that this modification is related to that same issue; if and when we find out more information we will update this story immediately. Fortunately for guests visiting Disney’s Hollywood Studios during this time, there will be additional entertainment. Presumably the “additional entertainment” will include the Star Wars characters typically part of the stage show being available for meet and greets.